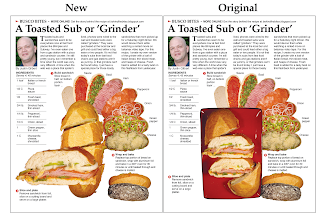 As I mention in the introduction to the column, I remember toasted subs from my childhood as "grinders." They were a staple of the take-out pizza places or local bars and grills. 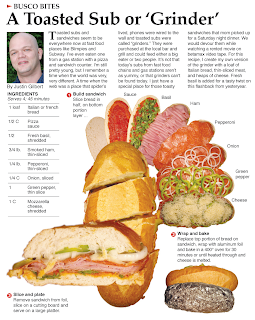 I loved them for the toasty bread and melted cheese - which is what sets it apart from a normal submarine sandwich. I used to make a lot of these when I bought my car while living in New York City. In order to save a little extra cash to pay for the car, I would take my lunch to work. I could make a grinder on Sunday afternoon and have it for lunch a couple times that week. 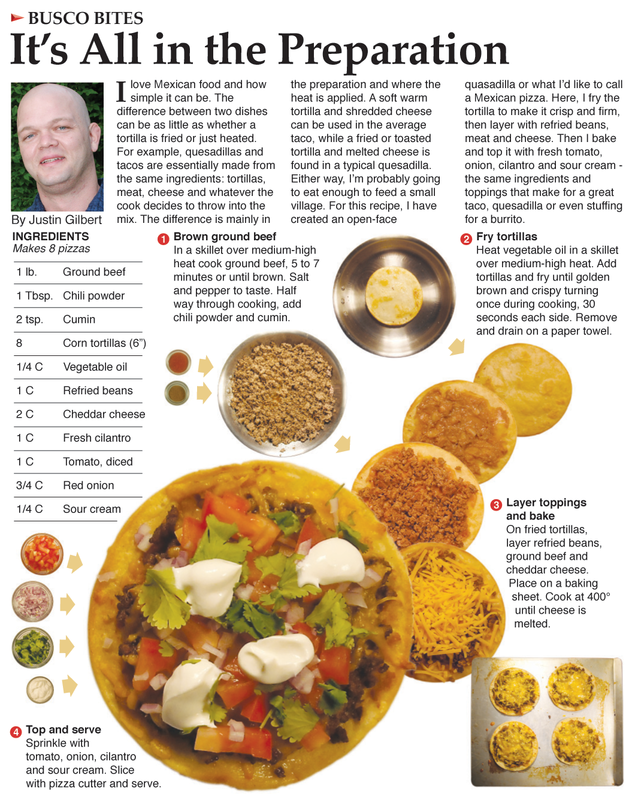 I was not very happy with how the recipe turned out when it initially ran in the paper. I re-worked it for the blog. I replaced the art for the final stage, which is the dominant art - The platter behind the sandwich drowns out all the layers behind it. The new version removes the platter, allowing the layers behind to stand out a little. 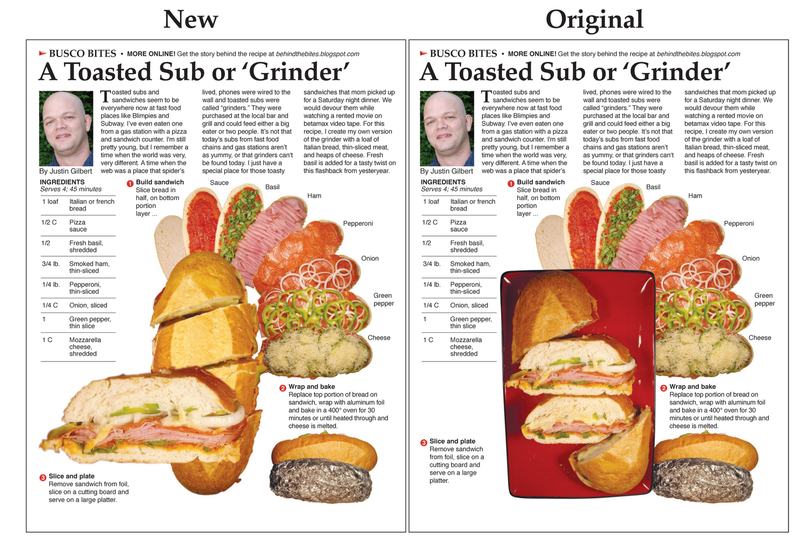 I went back through my original photos to get the sliced sandwich and cross-section for the improved version's final art. It is the first time in 42 weeks that I have been so unhappy with the final design that I actually re-made it after publication. I am relatively pleased with how the final recipe turned out - especially how the sandwich is built layer by layer -- I just wish this was the version that ran in the paper. Now that toasted subs are everywhere, including gas stations, I'm wondering how long it will be before McDonald's comes out with its own version called the McToasty. I am a lucky person when it comes to eating. I have been able to eat what I want without ever having to worry about my weight. Every so often, though, I get the urge to eat healthier, especially if I stop for fast food. If I am at McDonald's I will get a Filet-o-Fish, for example, instead of a Quarter Pounder with cheese. I realize that eating healthy and fast food really don't go together. It's just an attempt to ease what I call fast food guilt, which kicks in as soon as I pull up to the drive-thru window. 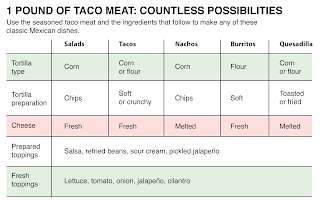 Recently I was at Taco Bell and ordered a value meal that consisted of two Crunchy Tacos Supreme and a Mexican Pizza. After I ordered, I was hit by fast food guilt and thought that I should have gotten a taco salad instead. Why? Because I'm a guy, and guy logic tells me that healthy eating always involves a salad! 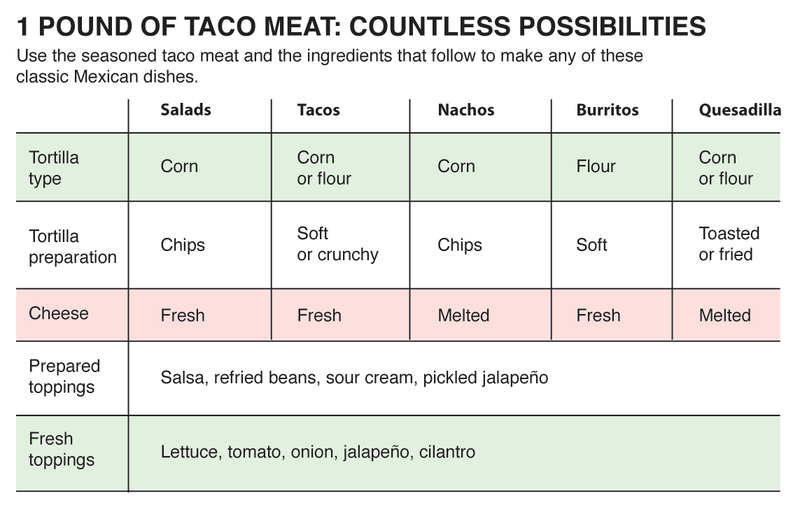 After a little research I was very surprised to find the exact opposite at Taco Bell. 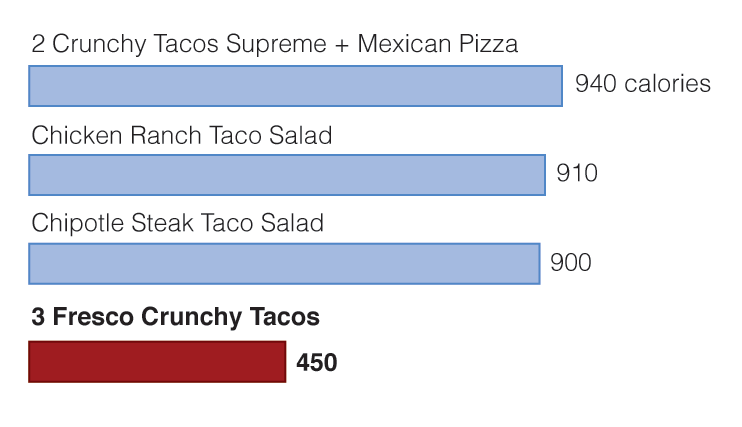 Eating either the Chicken Ranch or Chipotle Steak Taco Salad at the Bell would have saved me only 30 or 40 calories. Taco Bell has what they call a Drive Thru Diet. 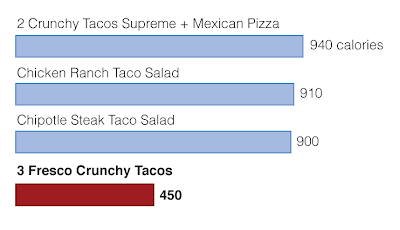 I would have opted for three Fresco Crunchy Tacos from that menu, which would have cut down the calories significantly. The only catch to this is that I saw the Drive Thru Diet when I was eating at Taco Bell and I dismissed it. Because there was no salad on the menu! 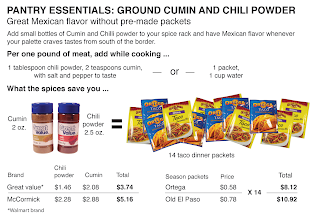 It was not until I researched the Taco Bell menu online that I discovered that the diet menu really does have much less calories. If you are feeling like cutting back on calories it's probably not a great idea to eat fast food at all. But if you do, and you're a guy like me, take someone who knows a thing or two about cutting calories, or do your research beforehand (this post counts as research, I'd like to think). 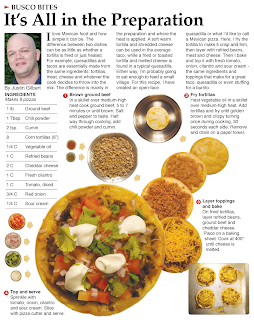 I was so happy to make this recipe! I bought the shrimp at the grocery store across the street from my old apartment in Queens. It was fantastically fresh AND I got to grill it on my girlfriend's porch. Fresh New York City seafood, grilled on a New York City porch – that is just heaven. As I have discussed in this column before, it was so nice to get seafood that is so fresh it taste and smells like the sea. 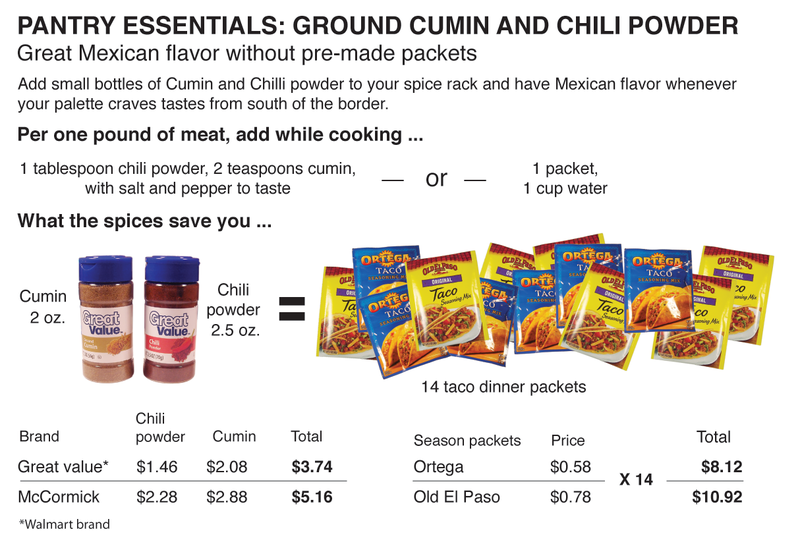 You literally have to be near the ocean to get it at an affordable price. The shrimp was actually left over from the night before. I had planned to make a shrimp taco as part of a taco party Nicole (my girlfriend) and I hosted. Everyone was full after the steak and chicken tacos, so I ended up with shrimp for the next day. The idea to make a shrimp salad came during brunch. 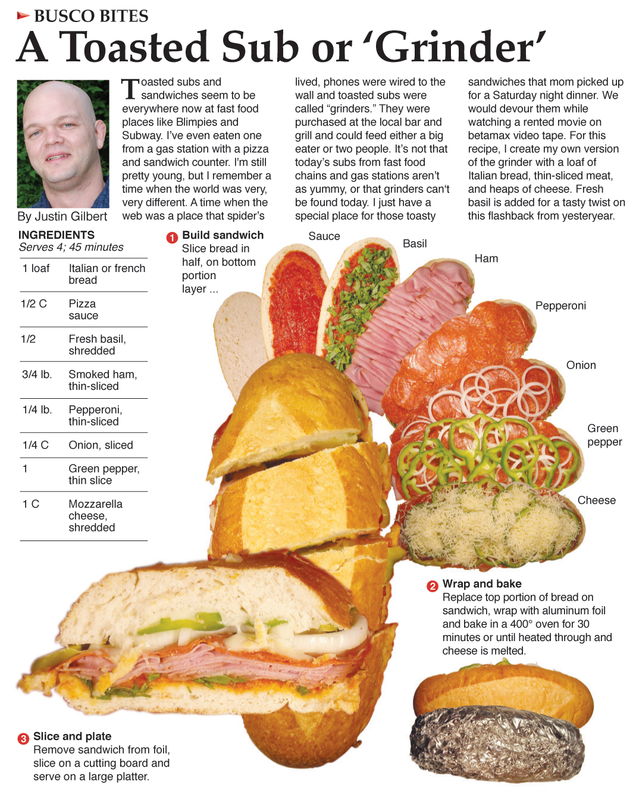 It seemed like a great summer sandwich -- and summer was in the air because it was the first warm weekend of 2011. 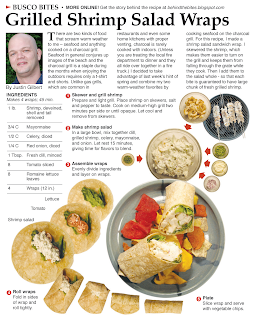 As a visual for the printed recipe, I was very happy with how the wrap is built and rolled. It also flows nicely around the final dish. I had never eaten the vegetable chips before. They were Nicole's suggestion and I am glad she did - they're tasty and leave you feeling less guilty about eating chips. They also add great colors to the final plate. I made the decision to add the shrimp whole. Most of the time when I get seafood salad, the meat is so cut up that it is virtually hidden. Not this salad. The whole shrimp creates giant unmistakable bites of delicate and tasty seafood. This is the only way I am ever going to make this salad again. Whether it be with fresh lobster, tuna or shrimp - the bigger bites make this feel like lunch at a great seafood restaurant.